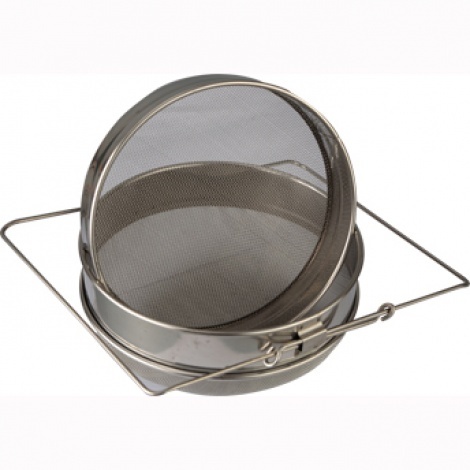 This new double stainless steel strainer can make short work of straining impurities from your honey. It has two kinds of mesh, coarse and fine, and allows you to use one or both at the same time.Coarse strainer is 1000-micron mesh and the fine strainer a 500-micron mesh.Has arms that extend to fit over your bucket, pan or holding tank. Material: Stainless Steel .Diameter 9.5", arms can extend to 400mm for big tank. Please ask for postage before place order and buy freight online.